Bed bugs are natural hitchhikers that will take any chance to latch onto you in hopes of being brought back home. All they need is for you to take a seat or put your things down for a minute. They frequently latch onto suitcases, backpacks, purses, worn clothing, used furniture, and even wheelchairs. They’re also known to slip between the cracks of shared walls making infestations in apartments especially frustrating and complicated. We’ll go over where you’re most likely to encounter them and how to best prevent them on this page. 4 Can I Avoid all Bed Bugs? It is a common misconception that bed bugs only infest cluttered houses. In reality, they are perfectly happy in a spotlessly clean home as well. The only difference between clean and cluttered homes is that clutter offers bed bugs more hiding places. No one is off the menu. Bed bugs live anywhere people do. We are their primary food source. While this sounds limiting at first, we bring them everywhere we go. They can be found thriving all around the world. Your chances of coming across bed bugs are highest whenever you are someplace with lots of people coming and going. Hotels and shared housing in general are prime bed bugs haunts because of their inherent revolving door of sleeping food sources and plentiful hiding places. Buses, airplanes, trains, taxis, Ubers, cruise ships, etc. It’s impossible to avoid all of these locations while going through life. This makes prevention crucial; the only place you can truly control is the space inside your home. An ounce of prevention is worth a pound of treatment. 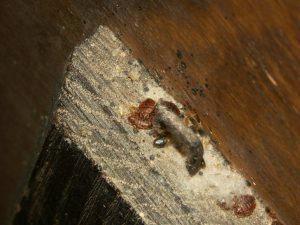 A single bed bug caught early in a passive monitor could be the difference between a few bites and a full-blown infestation. No matter where or when you are in life, bed bugs have the potential to be nearby. We’ll go over the most common way people end up getting them in the next section. When traveling, you come into contact with shared furniture and bedding far more often than usual. This is true whether you’re staying in a fancy hotel or in a budget-friendly hostel. Your chances of being exposed to bed bugs are the highest when you are traveling. With a revolving door of warm-blooded hosts reclining on furniture (on that couch in the lobby or sofa in the room) hotels and similar hubs of shared housing can be infested in spite of the use of quality bed protection and consistent housekeeping. Be especially aware when staying in ultra-budget housing options. Always check reviews for mentions of bed bugs. That bed may be cheap for a good reason. Studies have shown that international travel is a critical component in the modern resurgence of bed bug cases throughout the industrialized world, particularly in the United States and Europe. On top of being in shared housing, travel typically involves public transportation. Being on buses, planes, and trains puts you shoulder-to-shoulder with lots of people. It does not take much imagination to see how you might miss a bug surreptitiously crawling onto your clothing or bag while on the subway. We’ll go over the best way to keep yourself from bringing them home next. This individual was bitten by bed bugs while traveling in Amsterdam. Paying attention and doing some light investigating is the most reliable way to protect yourself from bed bugs abroad. Here are a few steps you can take to drastically reduce your chances of bringing hitchhiking bugs home with you. Seal luggage inside a plastic bag while staying in shared housing. A trash compactor bag works if you tie a knot at the top. Keep clothing in a separate airtight container away from your suitcase. Consider bringing dirty and clean laundry bags. Inspect the room first, then unpack. Look for black stains, blood spots, molts, eggs and other signs. See: Bed bug signs and symptoms. Check behind headboards, along the seams of mattresses, along zippers, seams, and joints of couches, nightstands, love seats, chairs, closet space, etc. Store luggage and clothing away from the bed and off of the floor. Use provided luggage stands, hangers in closets, or the bathtub to keep your stuff safe. Bed bugs can’t climb smooth-sided bathtubs and have trouble crawling along metal hangers. If you find any signs of bed bugs, let management know and ask to be moved to a room several units away. Before you get home, have a plan to immediately clean your clothes and baggage. Once home, change into clean clothes and put anything taken on the trip directly into a dryer and run on high for 20-30 minutes. Remaining items that don’t fit or can’t be tumbled should be put through a cycle in your bed bug heater. If you do not have a heater, leave luggage outside for 8 days before inspecting and bringing it in. If you don’t own a bed bug heater, consider picking one up – especially if you travel frequently. Depending on the stage of infestation, you may note several, a few, or none of the listed symptoms. Knowing precisely where and what to look for will improve your ability to suss out signs accurately and quickly. You’re unlikely to encounter a live bed bug in the open. If you do, try your best to capture it for the purpose of verification. Clear tape or a smooth-walled cup can keep samples captive and easily identifiable. Be sure to take pictures in case it somehow slips away. One of the best ways to stop yourself from bringing bed bugs home is through the use of a heater. The ThermalStrike Ranger, for example, perfectly fits a carry-on sized suitcase and kills bed bugs at all stages when used as instructed. It has the potential to save you thousands in professional treatment, not to mention the bites and stress. Wonder what a bed bug looks like or want to see pictures of all the mentioned signs above? Browse the image gallery below. Better safe than sorry certainly applies to bed bugs. While you don’t have to do follow step of the plan, you should do your best in cases where you’ve read unsavory reviews online or heard stories from neighboring rooms. It’s hard to keep track of things while traveling. That’s why we designed a free checklist for you to bring on your journeys. You can also get this and several more printables in the free ebook. It was created to serve as a condensed reference for everything you might want to know about bed bugs. You can do a lot to prevent bed bugs at home once you understand how to identify and avoid situations that carry unnecessarily high risks of exposure to them. Utilizing the tips shared in the above section on traveling safely will make a big difference while away from home. In this section, we’ll get into exactly what you can do to preemptively protect yourself and minimize the chances of bed bugs surviving in your home. 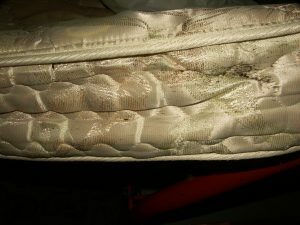 Unlike flies or cockroaches, bed bugs are not a direct outcome of unkempt living conditions. While that may be the case, studies have shown that cluttered houses have a greater chance of severe and persistent infestation. Factors such as crowding, clutter, and housing in need of repair offer bedbugs more places to hide and persist. Keeping your floors free of clutter goes a long way in minimizing the number of places where bed bugs can hide and thrive. Vacuuming is often recommended by pest control operators when preparing a house for treatment. Doing so clears out the nooks and crannies where bed bugs like to hide and makes it easier to inject preventative bed bug powders into tight corners. Should you ever suspect bed bugs to be present, be sure to empty vacuum contents into airtight bags and dispose of them outside immediately. Holes and cracks in walls can create bed bug highways. Cracks caused by general wear, holes used to route plumbing, and electrical wiring routes are just a few possible entrance points. Sealing them is easy and self-explanatory with a little bit of caulk or sealing putty. Preemptively making use of natural bed bug powders like diatomaceous earth (DE) and amorphous silica can provide passive protection for years once properly applied. 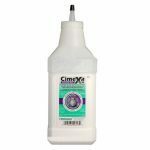 CimeXa, the primary manufacturer of amorphous silica targeted at bed bugs, claims that a single application of their product remains effective for up to 10 years if left undisturbed. Please wear a respirator while applying powders to prevent microabrasions within the lungs and further medical complications. For more on how and where to apply preventative powders, visit the page dedicated to them. Having a quality bed protecting encasement installed will make your life much easier should you ever face an infestation. Reinforcing your bed should be your number one priority in prevention. Here is how I recommend securing your bed. Quality encasements deny bed bugs all their favorite hiding places. Look for encasements with zippers that feature solid sealing mechanisms and ultra-fine teeth. Without those, bed bugs will have no problem slipping between gaps or wide teeth to fester as usual, completely bypassing the purpose of your encasement. Click through to read more on each. You can also browse the box spring and pillow encasement reviews on the encasement page as well. Bed bugs caught within the first two months of arrival are significantly easier to eliminate. As populations grow and infestations progress, bed bugs begin to hide further from beds to avoid crowding. This leads to them setting up shop behind electrical sockets and between walls and carpeting. The importance of early detection cannot be understated. Like heat treating your luggage after travel, measures taken to catch bed bugs in their early stages have the potential to save you just as much grief at an even lower entry cost. For the purpose of early detection, I recommend picking up a set of passive intercepting traps as discussed in the bed protecting section of this post. Interceptors are a critical part of prevention as they work both actively as protection and passively as traps that capture and notify you of any bugs that might be trying to climb up to your bed. The best part of modern interceptor traps is that they require zero upkeep. All you have to do is look in the dishes once every few weeks. There is no direct substitute for a set of interceptors. Here are a few of the best available. For more on traps and for in-depth reviews, check out the bed bug traps page. Picking up used furniture is a high-risk decision if your goal is to prevent bed bugs at home. Practices such as leasing furniture and purchasing used furniture have significantly contributed to the rapid spread of modern bed bugs. Leasing companies without strictly enforced bed bug policies are a big part of the problem. If renting furniture, be sure to check store policies for a bed bug clause. It goes without saying that used mattresses left on the street should be left alone if you fear bed bugs. Furniture is typically left on the street for a reason – bed bugs often are a part of that list of reasons. If you do decide to adopt used furniture, conduct a thorough inspection before bringing it into your car or home. Steam treating furniture is an inexpensive precaution to take, although doing so only reaches bugs on the surface. Other used furnishings such as small carpets and curtains can be treated in a dryer set to high for at least 20 minutes. A core temperature of 120˚F must be reached for items to be considered certifiably sterilized. If you have a larger personal heater, that would do the job perfectly. Bed bugs can survive almost anywhere. This includes inside used electronics, suitcases, children’s toys, clothing, and even books. When buying used clothing, drying at 120˚F is an easy way to keep your home safe. If dealing with delicate items, dry cleaning is an option although dry cleaners typically do not guarantee bed bug elimination. The process of treating for bed bugs with a dryer can also be used on various smaller items like plush toys, backpacks, and shoes. If you’d like to treat delicate or larger items that can’t be tumbled in a dryer, personal bed bug heaters will do the job. If staying with friends or family, keeping an eye out and conducting the same inspection used while traveling will go a long way. Most cases of infestation come from exposure to an infested environment. Educate children who are going off to live in dorms as they are prime targets that have the potential to pass bed bugs around like wildfire. Being vigilant and properly inspecting beds you intend to sleep on is the best way to protect yourself in high risk areas. I wouldn’t go so far as to advocate all-out disassembly of mattresses, furniture cushions, and bed frames, however, learning to identify the most easily distinguished symptoms of bed bugs will save you from heavy infestations if you happen across one. Since bed bugs can sneak in from any direction, communication with neighbors is an important way to prevent them. Units above, below, and on either side of you have the potential to be infested. Maintaining a network gives you a chance to share news and knowledge candidly and is the absolute best way to prevent an infestation from getting out of hand. Ask future neighbors about bed bugs before purchasing or renting a place. People are typically happy to share if they’ve had any problem with management. Ask neighbors to let you know if they come across bed bugs. Offer to do the same should you encounter them. Try to communicate the importance of not using “solutions” like foggers and bug bombs. Bombs and foggers are the best way to spread infestations. Bed bugs will hide out in neighboring units or in building foundations if they smell them. If an infestation does come about, you’ll be able to coordinate efforts and handle the situation quickly. Putting together large-scale and comprehensive plan is the only way to get rid of bed bugs in a multi-unit situation. Once established in more than one unit, meaningful efforts to rid a building of bed bugs require nothing less than broad cooperation and comprehensive treatment that targets all surrounding units simultaniously. Slow unit-by-unit efforts will fail in multi-unit infestations. Treating your own unit and making it not worth the bugs’ time by sealing off entrances, dusting, and securing your bed is the best way to avoid being a target while you wait for management to have comprehensive treatment done. For laws regulating landlord-tenant responsibilities in the case of bed bugs in California, see the post on the subject. Laws regarding the burden of payment for treatment vary from state-to-state. It’s good to keep in mind that summer brings an increase in bed bugs feeding and spreading for a few reasons. Bed bugs are able to pull moisture out of the air but struggle to in typical dry summer conditions. This leaves one source of liquid for them – blood. With their lives on the line, bed bugs are more likely to come out during the day and are willing to feed more aggressively. Warmer temperatures make modes of transportation more hospitable for bed bugs. For many people, summer means travel, and travel is our most efficient way to spread bed bugs. As soon as summer rolls in, bed bugs return with a vengeance. Exercising extra caution during your summer travels is a good idea. Can I Avoid all Bed Bugs? How diligently you clean your house doesn’t matter to bed bugs, they are acquired through exposure unlike flies, cockroaches, or termites. No home or person is immune to bed bugs. At the end of the day, you must decide how much your fear and hatred of them will control you. You could prohibit visitors, avoid public places, check every car and bus seat you sit on, and still get bed bugs. Understanding where and when you are most vulnerable helps cut your risk significantly while taking the preventative measures we’ve gone over will help you swiftly and painlessly deal with any infestation that might crop up. You will be far better off than those who realize the problem 4 months into an infestation. Being able to confidently seek bed bugs out and identify them is a critical part of this equation. The Bed Bug Symptoms page will get you up to speed in a hurry. If you want to take another step and prepare yourself for potential infestations, creating a plan is the best investment of time you could possibly make. Our guide to getting rid of bed bugs is exhaustive and walks you through the entire process of putting together a multi-pronged plan that will help you dominate infestations unlucky enough to try your home. Taking your health and treatment into your own hands is liberating. You will understand exactly what products you’re using and why you’re using them. Creating a plan in advance will give you the huge benefit of being able to get the ball rolling immediately once you confirm that you have bed bugs on your hands. The feeling of being able to take control and act right away is priceless in my own experiences. Look for the symptoms of bed bugs in the bedroom first. Don’t begin treatment until you have proof. Avoid bug bombs and foggers. Understand how to apply products before applying them. When trying to prevent bed bugs, there is no substitute for knowledge and vigilance. This post should have you feeling confident in your ability to assess the most common bed bug risk scenarios so that you can avoid them completely or react appropriately. Of all the content in this page, I hope that you follow the ideas and guidelines set by the travel section most closely. Armed with this knowledge, you will be eliminating the most often cited source of bed bug infestations. Following this page, consider learning how to get rid of bed bugs so you ever happen upon an infestation. With the cumulative knowledge of identifying, preventing, and treating, you will be well equipped to nip bed bugs in the bud before they can become numerous. Please leave requests and feedback in the comments section. Best of luck staying bed bug free!